One thing that captures human thought and imagination is the number 7. It is linked to many different explanations and many different uses, yet it still fascinates us. Why, I am not too sure. In my article: Mysteries of Seven I made an effort to begin to describe the power of this number. It was a start, however one that needs further thought. Perhaps you, my readers, may have some deep insight to share. 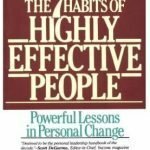 Successful authors, Stephen and Sean Covey have used the number 7 as the basis for their own books. Even the world of blogging, of which I am now a part, defers to the magical significance of 7. I read a few articles the other day. One on Copyblogger‘s site. The article was titled: The 7 Secrets of Running a Wildly Popular Blog by Dean Rieck and in my country, Australia’s Darren Rowse of Problogger fame: 7 Considerations on Generating Traffic to Your Blog. 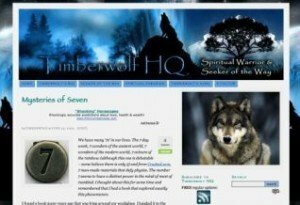 A fellow blogger on a sister site to Timberwolf HQ, that of Blogshido has ventured into the realm of the Sacred 7 in her article titled: The Seven Directions & Native American Wisdom where she has brought a number of books together on the topic. 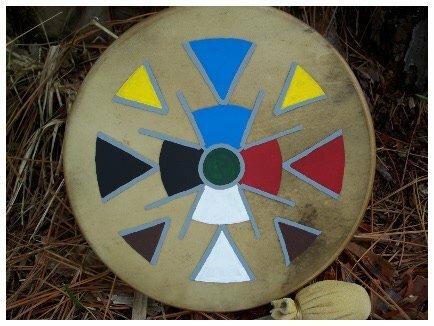 As a Spiritual Warrior and Seeker of the Way, what captures my imagination about this article is the quote from Eagle Man’s book: Mother Earth Spirituality: Native American Paths to Healing Ourselves and Our World. The warrior who feels the great mystery of existence is marked by a profound humility. Such new warriors will not see themselves as titans standing astride the universe demanding dominion over the earth. Instead, they will be like the vision-questing Indian who stares at the stars in the black sky and feels humility before nature’s power and awesome beauty. So what is it about the number 7 that captivates us? Why not 11 or 16 or even 5? As a Spiritual Warrior and Seeker of the Way, I seek the unusual in life and this is definitely one of them. 7 is a spiritual number with deep significance to humanity as a whole. The journey to trace the power of the number 7 covers a vast amount of territory and includes religious material, occult type material, explorations of 19th and 20th century adventurers in central Asia and the collection of myth legend, prophecy and tales concerning cultural heroes. I would be very interested to hear what you, my readers think. Please leave your opinion in the comments below. ← Previous Post Universal Energy. What is it? I just stumbled upon your website. Looks great! My theory is that there are 7 energies of the universe. People who are highly advanced in spiritual development can sense them during meditation. The ancients came up with analogies & mythology to be able to describe them. Welcome to Timberwolf HQ. Thank you for sharing your knowledge with my readers and I. It is always wonderful to meet someone who is walking a similar path and recognises similar aspects in the world around us. I would love it if you found your way back to my site to share more of your insights. The 7 Hermetic principals. The 7 Chakras in the body. 7 is significant to humans because there are always 7 steps or tools one must use to reach the infinite. Infinity 8. That’s what I think anyway but I’m in an early stage of my awakened path. Thanks for your site and your wisdom. Thank you for visiting Timberwolf HQ. Your response has given me much to think about. I had not thought of it in exactly that way. 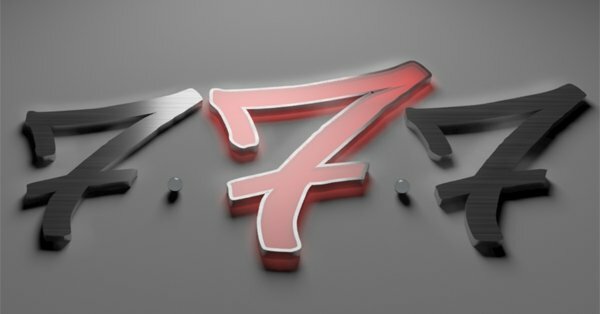 You have shared a great insight with my readers and I.
thanks for the article here on the mysteries of 7. i myself have been drawn to 7 thru-out my life. Perhaps with a name like Richard Anthony Mallard which has 7 letters in each name (yes, 777 is a fascination with me as well), this has some bearing on it’s draw. Even 77 has given me curiosity. i was born into a christian family & raised with beliefs of what the christian bible says is true to be just that. i have always been drawn to all things occultic as well as spiritual & have read a bit of Blavatsky’s Isis Unveiled. a few years back i came to a place in this journey called life where i cut the ties of christianity from my beliefs & have since been all over the place, going from searching for spirituality to lately a place of nothingness , believing in nothing (does this make me an atheist or an agnostic? i don’t know, don’t really care with the labels defining something eternal with just a momentary descriptive). so what does all this have to do with “7” here? good question. i don’t know. but i DO know that this damn number won’t leave me alone(or maybe i’m the one not leaving it be…y’think?). thanks, none the less, for sharing this writing. I am a Decorated, Disabled Veteran and a PTSD Survivor. I am launching a new endeavor called MAX SEVENS featuring me as a Motivational Speaker and Adversity Coach. I work with a lot of other Veterans and also seem to be helpful with Sensory Deprived Prisoners. In coming around to manage my PTSD, I noticed 7 symptoms that were misaligned with whatever reality I was existing in, ie. combat, hospitals, psych wards, etc. The magic of it that I am now living is this: When I restructured the symptoms to be useful instead of a hindrance, incredibly intensified positive energy flowed from and infinitely abundant source and doesn’t stop. I’ve made a full recovery from a 29 day coma, veggie land for three months, a wheelchair for 2 years, a walker for a year, crutches for 6 months and a can which I threw away last year. This “uncooperative number 7” turns out to be very cooperative if realigned properly. I’m still working on my presentation; However, feel free to visit me on Facebook in the near future for it. Until then I’d like to add this to your articles on 7–The common symbol of Magic, the Pentagram, was a mistaken representation for DaVinci’s Vitruvian Man. The true Symbol of Magic is the Pythagoean 7-Pointed Star, which creates endles geometrical equation when constructed within a circle; Hence the power of Infinity. Bearers of this symbol were forced underground and often used DaVinci’s Man as a cover. Like many things in history, minor adjusments at its discharge change its trajectory completely.